The Algerian capital, Algiers, sometimes nicknamed "El-Behdja "or "Algiers the White", is by its status, its size and its functions, the first city of Algeria. It includes the most important national concentrations of populations, service activities, facilities, infrastructure, research centers, industries and major urban projects, major economic and financial institutions, major decision-making centers and diplomatic representations. 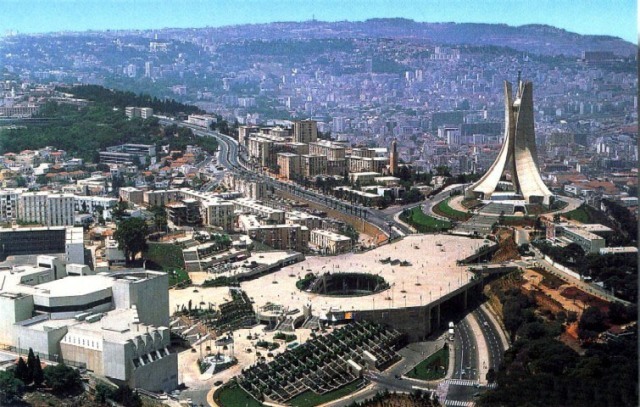 Algiers is the political, administrative and economic capital of the country. 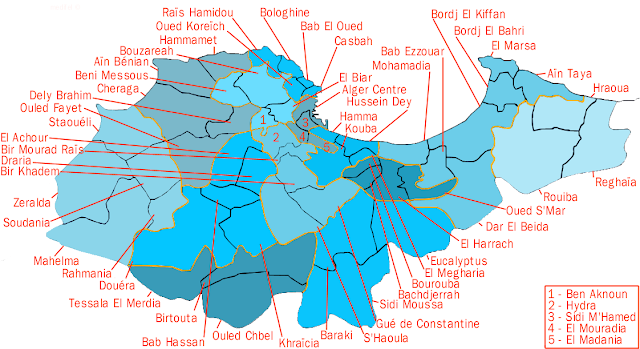 The territory of the Algiers province covers an area of 1190 km² and it has 13 administrative districts and 57 municipalities. Algiers is located in the North-Central part of the country and occupies a geostrategic position interesting from the point of view of economic flows and exchanges with the rest of the world .It is bordered by the Mediterranean Sea to the North, Blida province to the South, Tipaza province to the West and Boumerdes province to the East. Since its history, Algiers has been rich with events which have succeeded one another with the multitude of conquests that it has known and which have shaped its building and its space. The old town, the Casbah, has always been home to the Algerian culture. It has been declared as a national heritage site and integrated in the list of World Heritage sites. The historical architectural heritage includes several mosques and palaces dating from the 11th to the 19th century. Algiers is a hub of national activity and a crossroads of exchanges thanks to its airport and ports. Its airport; Houari Boumediene, with a capacity of 12 million passengers per year, is the third terminal on the African level due to its capacity. The Port of Algiers is the largest port in the country, accounting for 32% of national imports and 20% of all non-hydrocarbon exports. There are four ports: Algiers, Rais Hamidou, El Djamila and El Marsa. In Algiers, there are two university poles one in the East and the other in the West, eight important schools and more than fourteen institutes. For companies, Algiers is a veritable breeding ground. Additionally, more than 62,000 young trainees are trained in vocational training establishments in all sectors and modes of training. In the area of scientific research and technological development, Algiers is home to 3 national agencies, 34 research structures including 8 under the Ministry of Higher Education and Scientific Research and 101 research laboratories. In the capital,The health sector has 4 public hospitals, 13 specialized hospitals, 10 health sectors and 61 polyclinics. The youth and sports sector has 82 football stadiums, 23 sports halls, 13 swimming pools and 219 sports fields. Algiers has 126 hotels, with a capacity of 17,740 beds, 2,777 restaurants, a spa and a dozen classified monuments. Among the most attractive hotels; Hilton Hotel that provides first-class facilities and relaxing atmosphere due to its beachfront location. Just 25 km from Algiers, the project of the new city of Sidi Abdellah (smart city))was created in order to meet the needs of the urban expansion of the capital with a view to create a scientific and technological center which will contribute to the strengthening of the metropolitan area. Its program consists of major structuring facilities, such as universities, hospitals, business centers, administrative offices, shopping centers, golf courses, a fleet of 50,000 homes and other multimedia equipment.